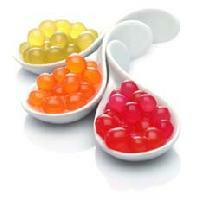 It is a Fruit Concentrate Juice in Bubble Shape & it is also called by names “Juice Balls, Bursting Boba, Boba Pearls, Popping Bubbles & Popballs. 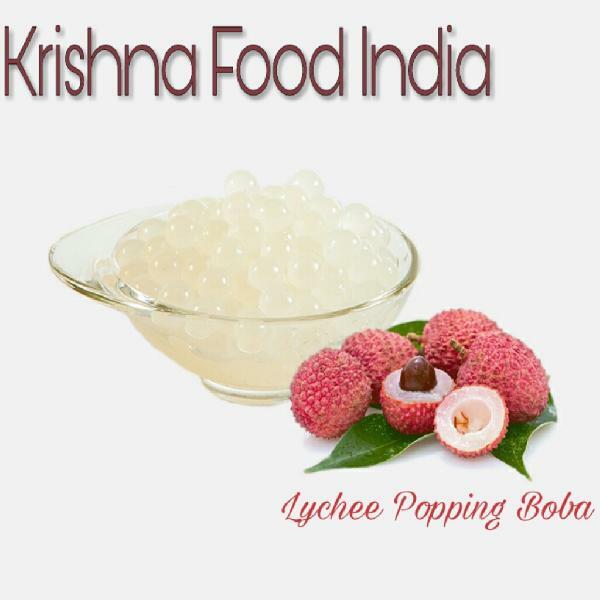 It is mainly used in Bubble Tea, Milkshakes, Smoothies, Frozen Yogurts, Cake Topping, Ice Cream Topping & many similar Desserts. The packing comes in 3.2kg jar. Carton=4 jars. Flavours Available Price : Rs. 3000/jar. 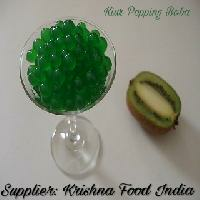 Carton Price : Rs. 12000/carton. Mango, Lychee, Strawberry, Green Apple, Blueberry, Kiwi, Pomegranate, Passion Fruit, Pineapple, etc. Packaging Details The Packing comes in 3.2kg jars. Each carton consist of 4 jars. " 1 carton = 4 jars"